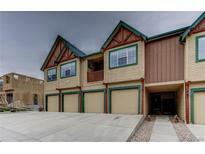 Find Evergreen, CO Condos for sale. View Photos, Maps and MLS Data Now! Evergreen North - Very well maintained complex and unit. Great neighbors. Move-in ready! ! MLS#3710411. RE/MAX 100 INC.. The Ridge At Hiwan - Entry is on ground level, once you go up the stairs from the garage and mud room all of the living is on one level. MLS#3434200. COLDWELL BANKER RESIDENTIAL 56. 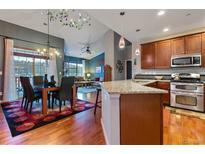 Troutdale - This is a coveted area of Evergreen and convenient to everything. MLS#6453550. Madison & Company Properties. The Ridge At Hiwan - Close to restaurants, schools, public transportation and walking distance to King Soopers and local trails. Tour it today! MLS#6304239. Berkshire Hathaway HomeServices Innovative RE. Sun Creek - The property is close to amenities like restaurants and brewpubs, shopping, golfing and banking, or stay home and stream movies on the super-fast Comcast high-speed internet connection. MLS#8456925. Madison & Company Properties. Evergreen North - Newly re-finished wood floors, move-in ready condition, and a perfect location make this an inviting place to call home! MLS#5889764. COLDWELL BANKER RESIDENTIAL 28. The Trails At Hiwan - Additional space great for office/exercise or non conforming bedroom. MLS#5065400. RE/MAX ALLIANCE. The Trails At Hiwan - Walk to golf course, schools and shopping! MLS#2900393. Berkshire Hathaway HomeServices Elevated Living RE. Super convenient location, only minutes from downtown Evergreen! MLS#2129966. LIV Sotheby's International Realty. Bring your things, bring your pet, you are home! MLS#5727694. Keller Williams Foothills Realty, LLC. A unit like this does not come around often! MLS#2022768. DA VINCI REALTY. Nob Hill - Exterior is hard coat stucco/stone/concrete tile roof. MLS#9123256. LIV Sotheby's International Realty. Nob Hill - Enjoy close proximity to restaurants, hiking and walking trails! MLS#8694987. Addison & Maxwell. Meadowview - See it. Seize it! Move right in! ! MLS#2785989. RE/MAX 100 INC..